35min sprint race and my water is 172 oil 185. I went with the ians rad w/ oil cooler behind the radiator. I'm also going to clean out the condenser while I have the radiator out. Should be good to go then. What would you say is too hot for oil and coolant on the track? If you get near 230 I'd shut it down. Everyone that's running these radiators is reporting that it stays at or under 200f so long as you don't have air in the system and don't have all the air blocked to the radiator from the intercooler. 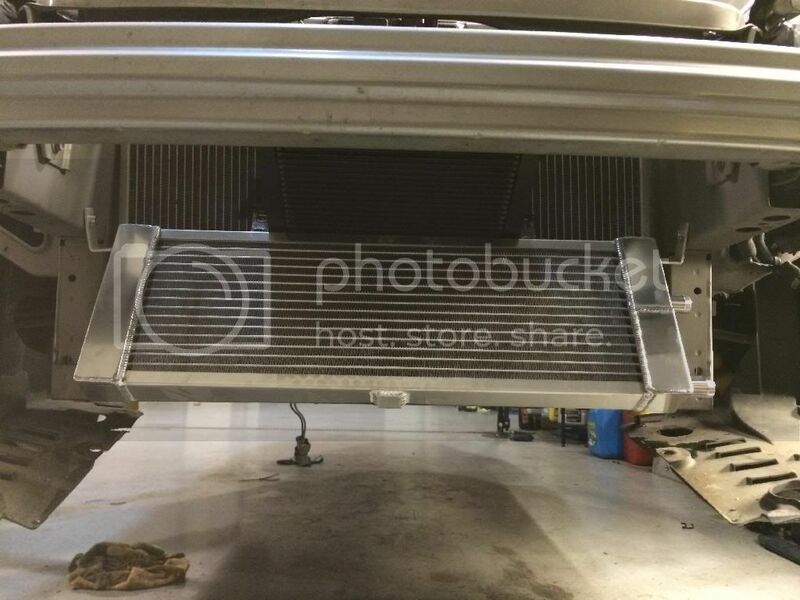 Even the best radiator won't keep you cool if the air being blown on it is hot from the intercooler. As far as oil that's going to vary from where you take the reading. But to hot in my books is 300f taken at the pan. I hit 305 on the factory sensor in a a borrowed Z06 that had a large oil cooler a few weeks ago in 3 laps at sebring and that scared me. The car owner told me it runs that hot all the time and not to worry.... yikes. 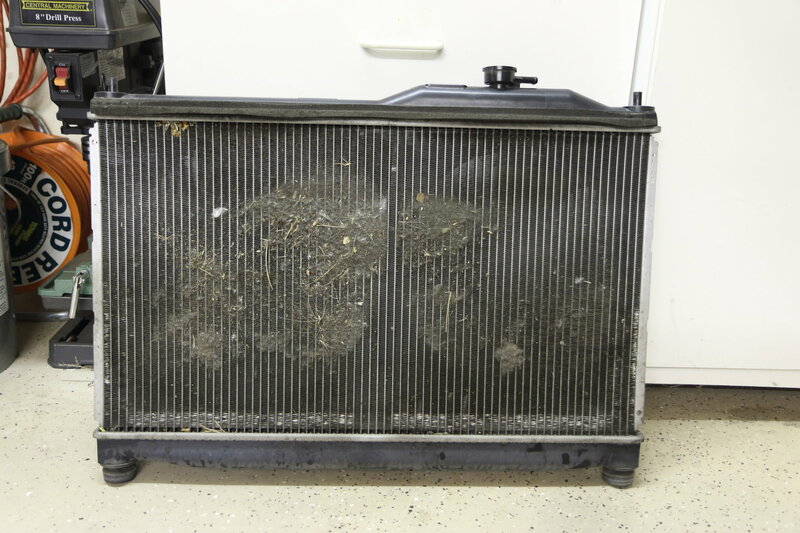 Have you verified that radiator is clear of debris? I started seeing higher temps at the track and found this when I pulled the rad. I hadn't removed the AC condenser so had missed this when I initially checked for blockage. I spent a lot of time deciding between a Koyo and Mishimoto. From what I could tell after reading user feedback across many car types, the quality issues with the Mishimoto are mostly manufacturing defects that show up during installation (e.g. damaged fins, bolt holes that don't line up, poor cap fit). I didn't see issues around cooling capacity once it was installed. I really doubt that's the issue for you. I'd be focusing on the coolant (do you have a proper mixture that isn't too much antifreeze) and proper bleeding. The extra heat from the SC setup driving in stop/go traffic is small, and the stock cooling system when properly set up has no issues with keeping things cool even with AC on. Have you verified that BOTH fans are coming on when the compressor cycles on? I think focusing on the rad would make sense if you said the issues were when driving the car hard, but unless I missed something, that's not your issue. I have a radiator koyo rad and sandwich thermostat 200f with oil cooler setrab 18 rows installed behind the intercoooler of kraftwerks, on track day I see oil temperatures of 240f, I do not understand why the temperature rises so much. I would like to know what is the best configuration for cooling the oil in my ap2 sc configuration. 240F oil temp is nothing to be concerned about. correct! Oil at 240 is fine. Also ive seen people remove the factory oil cooler (it’s the small donut behind the oil filter). FYI don’t do that. It does a way better job than you think.